For my day to day I keep my look very clean and basic. I have very sensitive skin and try to keep my skin care and makeup products as non toxic and natural as possible. Plus, chemicals are just not something I want to permeate into my system through the largest organ in my body, my skin. Gross. I never wear foundation except for on photo shoots and use concealer to hide dark circles or blemishes and finish the look off with a bit of powder. I have been using the products below for three years now. I absolutely love them. I love that the concealer comes in a little pot. Easy to apply with a finger tip or concealer brush. Great coverage without looking like you have makeup painted on your face. Plus, it has anti-aging and anti-wrinkle ingredients! What woman doesn’t love that? Great light coverage, takes away shine, but let’s my freckles show through! I hate when makeup hides my freckles. No makeup mask for me. I absolutely love this mascara. It’s not waterproof, but I don’t like waterproof mascara anyway. Great lasting power, doesn’t flake, ever. Nice full brush for getting each lash covered and it gives the illusion of longer lashes. Other mascaras make my eyes itchy, but I’ve never had a problem with this one. This gloss has just enough color to add pizzazz and polish to my look without looking made up. No staying power, it’s just a lip gloss and wears off pretty fast. It’s not sticky though! What are some of your favorite natural beauty products? Categories: Natural Beauty | Tags: concealer, korres, lip gloss, makeup, mascara, natural beauty, natural makeup, paraben free, powder., sephora | Permalink. The winter landscape has drawn me into its beauty this year. I’m not a big fan of winter since it’s so cold and I hate being cold. However, this year the beauty of the season has almost made me forget how I’d rather skip from fall to spring. Winter draws such beautiful and interesting patterns in nature and frosts the land with dazzling and glittering embellishments of ice crystals, frost, and snow. The skies become grey and heavy like a blanket has been cast upon the city to lull every thing into a gentle slumber. Spa Ritual has a lovely selection of polish. 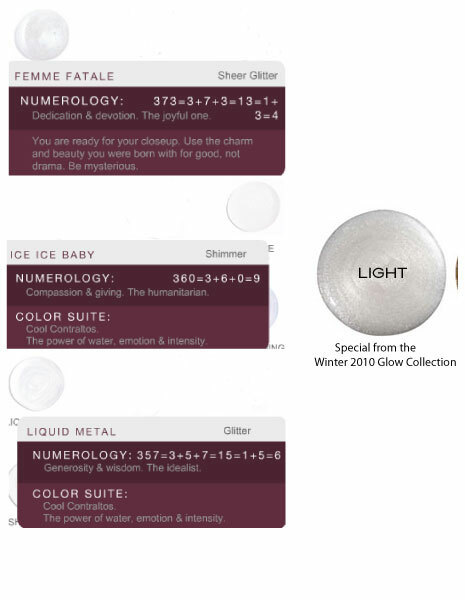 I love how they assign each color a numerology number and have a little saying to go with it. All of their nail lacquers are vegan and free of dpb, formaldehyde, and toluene. They do not have online shopping through their site though. 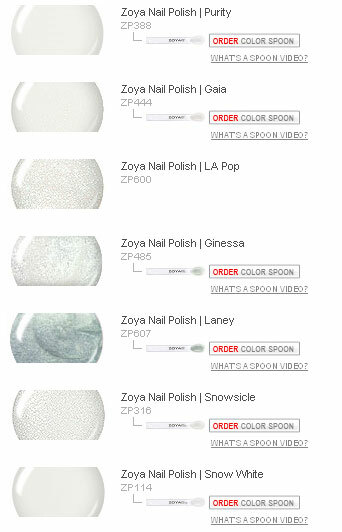 Zoya has an extensive online collection of polish that is ultra long-wearing and free of toluene, camphor, formaldehyde, and dibutyl phthalate as well as being vegan friendly. They do have online shopping (Love) and each bottle is $7 on average. Let the beauty of winter inspire you! Categories: Natural Beauty | Tags: frost, natural beauty, natural nail polish, spa ritual, winter color trend, winter inspiration, zoya | Permalink.